Cambridge is my hometown, full of fantastic new offerings when it comes to food & drink, but over the last few months I’ve seriously cheated on it with Norwich…. Shhh don’t tell anybody! 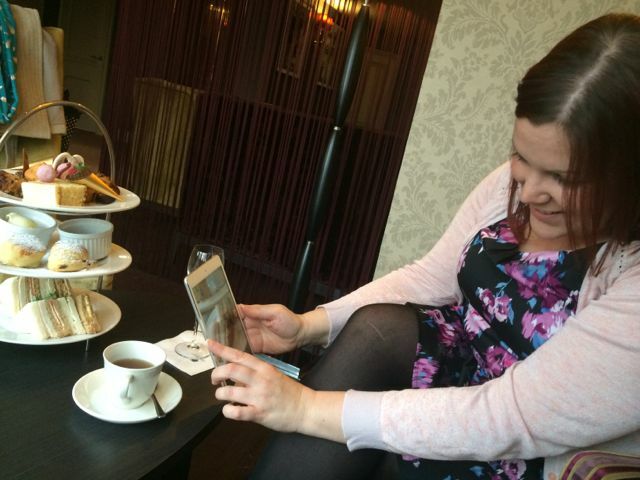 So, when I was invited through one of my favourite social media platforms (Instagram) to enjoy the new afternoon tea menu at the Doubletree by Hilton in the City centre, I was first in line to sample their new tasty treats beside a peaceful riverside location. 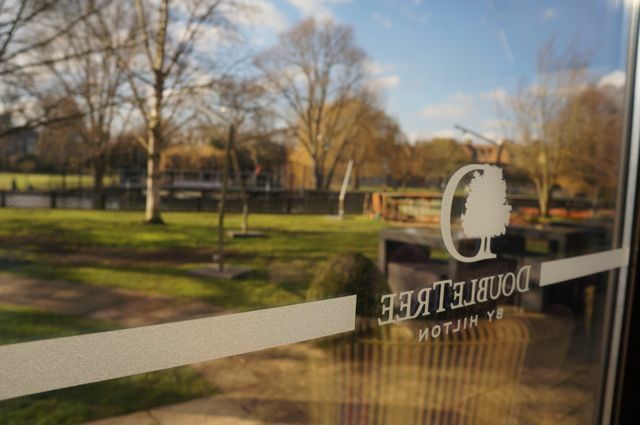 The Doubletree by Hilton is just off the Mill Pond (one of the most picturesque punting and al fresco beer drinking hotspots) in central Cambridge. This luxury hotel overlooks the River Cam and offers parking for visitors wanting this unheard of hotel convenience in these lands. 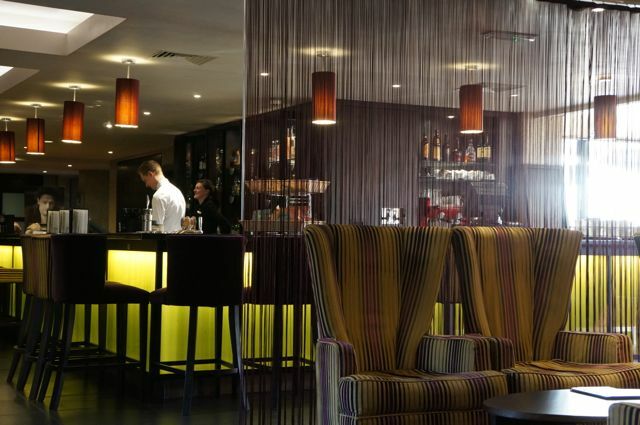 This hotel offers a health club, complete with swimming pool, sauna and modern, well-equipped gym, as well as their Marco Pierre White Restaurant Bar & Grill of which has recently taken over their Riverside Brasserie within the last year. You can stay in one of 122 guest rooms, some even come with a private balcony and peaceful views of the river and meadows (of which you might spot the famous cows grazing and stealing peoples’ picnics if you are lucky!) or why not splash out on their two-room King Suite Penthouse, complete with walk-in shower, outdoor seating and a separate dining area for six, should you fancy entertaining in style?! This would be the ultimate in Cambridge stays, should I be invited back again, I’d love to stay here for my “Around The World In #80Stays” challenge and entertain friends in this fantastic sounding suite! 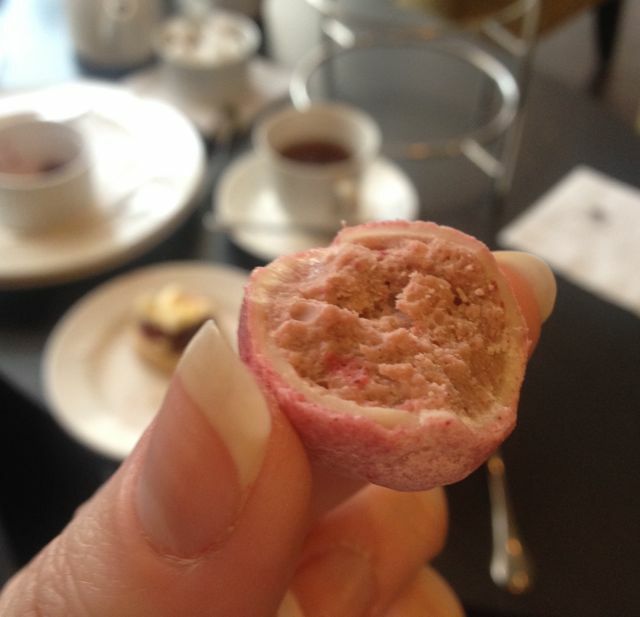 But, yes, I know, the reason you are reading this post is to find out more about their new afternoon tea, so let me tell you all about it! 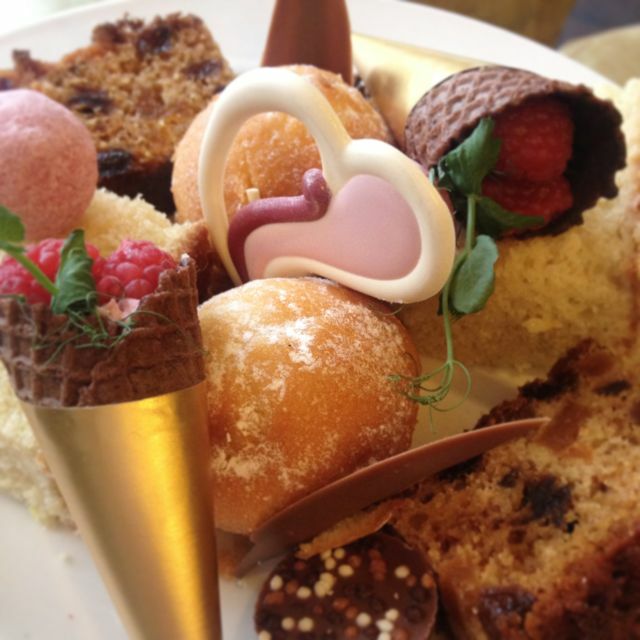 This was my very first afternoon tea of 2015, so it was exciting stuff! 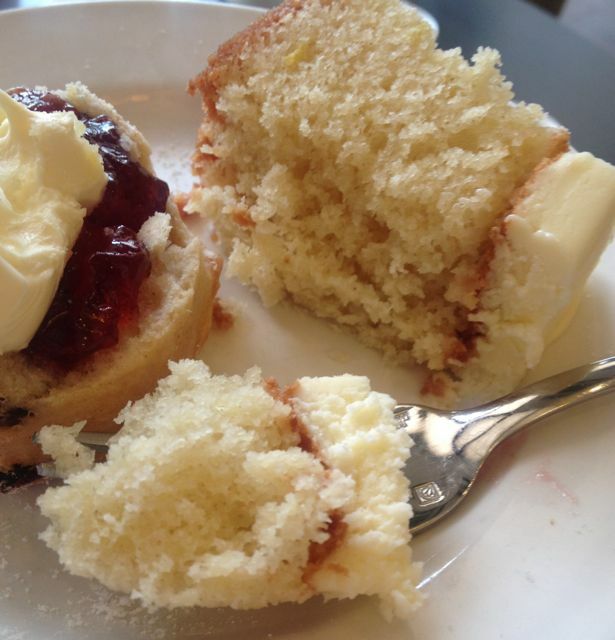 It’s actually been a while since I last enjoyed a generously smothered scone with jam and clotted cream, however it was my new manfriends’ very first afternoon tea. Ever. This was special. And it didn’t let me down, it really did me proud for his very first “High Tea” experience and I even managed to teach him a little afternoon tea etiquette geekery as we went – success. This was a modern twist on a classic afternoon tea, comprising of traditional finger sandwiches cut into triangles with the crusts cut off, freshly baked and warm scones with strawberry jam and clotted cream and a wide selection of dainty desserts and slices of traditionally “British” cakes. What I loved about this afternoon tea was how colourful it was, so many offerings can be a beige nightmare, so I do love a splash of colour to make you drool on serving. Selection of Mini Desserts including a raspberry parfait wrapped in a miniature chocolate waffle cone, fruit cake, lemon drizzle cake and the mini pink truffles were filled with popping candy for an extra tangy surprise – I loved these! We were originally booked to dine in the main restaurant with the tables lined up perfectly and covered in crisp white linen, however, it seemed very quiet on arrival. Our waiter advised that due to the snow that day, they had received several cancellations and it felt as though it was lacking atmosphere. This wasn’t the case the last time I visited a couple of years previously, as when it’s buzzing, it really does feel quite alive within this space. I asked if we could slink into the privacy of a sofa surrounded with a black netted curtain in the very trendy bar adjacent to the restaurant and they were more than happy to allow us to find a seat and curl up wherever took our fancy. We managed to turn this afternoon tea into a stupidly relaxed affair, reclining in the comfiest armchairs we had ever found, whilst watching the world go by along the river – perfect, that is how afternoon tea should be done! 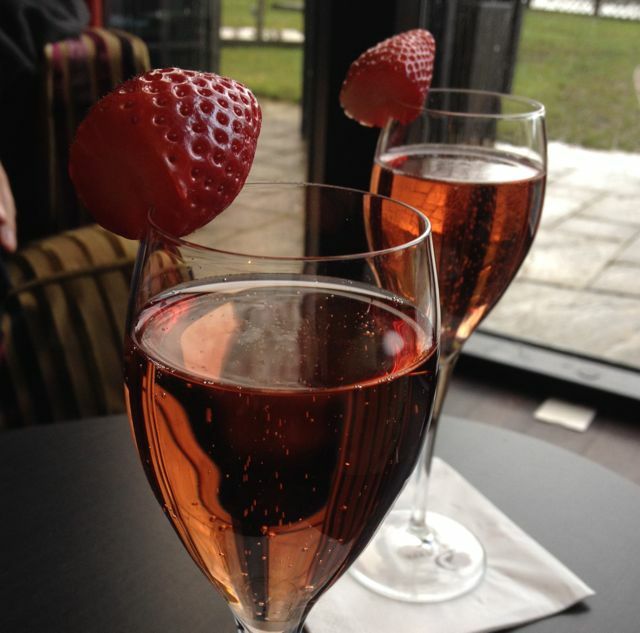 We opted for the Champagne tea, enjoying a glass of bubbles at a leisurely pace before being served the menu, the choice was entirely ours as to how we enjoyed our afternoon, it was truly relaxing watching people wander along the river, I could have easily fallen asleep. Our waitress mentioned that the afternoon tea menu changes seasonally, so I will be excited to learn what’s on the Spring and Summer menu later in the year – I’m sure it will look and taste delicious. If dining at this venue, you can park here for 3 hours free of charge in their carpark adjacent to the hotel, charges are then incurred after this time if not an overnight guest – perfect, this gave us chance to walk off some of our treats for a bit before heading home! Our food was served promptly and the friendly waitress went through everything on the plates, so that we knew what we were about to be tucking into. However, no plates or napkins had been set for us. 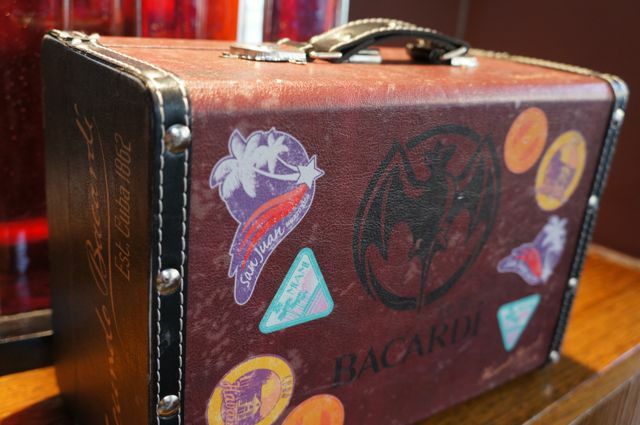 This may have been partly our fault, as we had asked to move to the bar, but we had to wait a little while for any to be brought to us and we had to ask a second waiter to have some brought over. The tea menu was absent from our table, so when were asked which choices we would like to order, it was tricky to know what we wanted. On asking what the tea menu consisted of, we were told “everything you can imagine”… it still didn’t help really, so we went for a pot of Earl Grey and one of Darjeeling. The finger sandwiches were a little dry on the edges, which was a shame, as this is one of my favourite elements of afternoon tea. 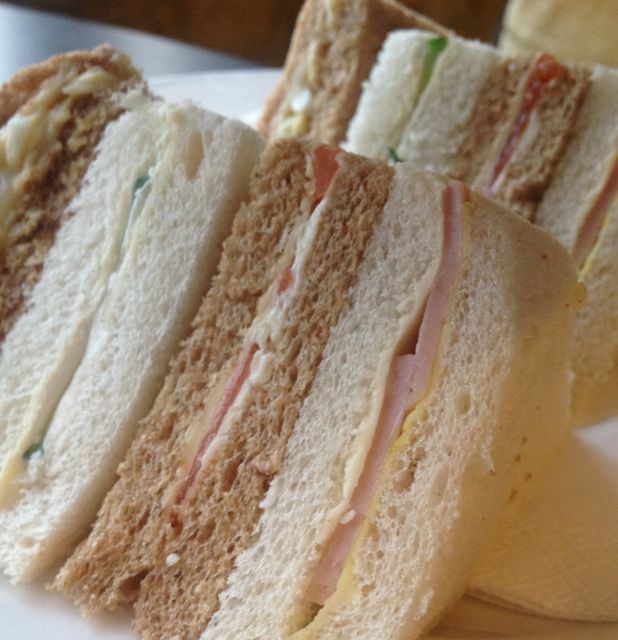 However, pre-prepared sandwiches seems to be the norm, so adding these to the “ok” pile when it comes to the best finger sandwiches out there. I did like that they were simple fillings, not overly fussy, with quality ingredients. Please note – This visit was complimentary following an invitation to view this venue and meet up with the team. I am in no means obliged to blog or write about their offerings, but I simply choose to share with my readers, should I enjoy the experience.